Sock World, Here We Come! 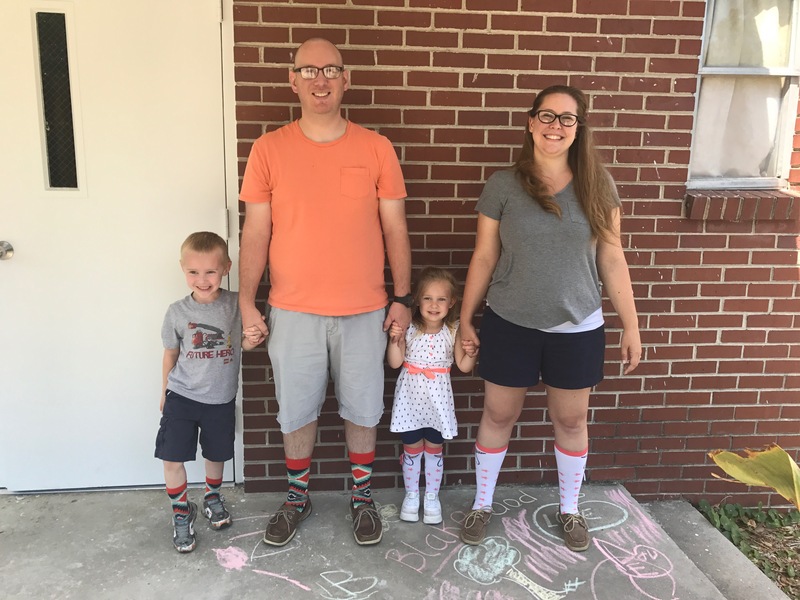 We spent our morning at church, getting confused looks from everyone who doesn’t know about our trip when they saw our family in matching crazy socks. We wore them with pride. And now, the Rogers Family is finally on the road. Sock World or bust!